If you are thinking about renting your property out we offer a FREE no obligation rental assessment of your home, providing expert advice on the lettings market and current up to date legislation. We work with you to achieve the best rental price for your home as well as advising on refurbishments to showcase your property to its fullest potential before offering to the lettings market. 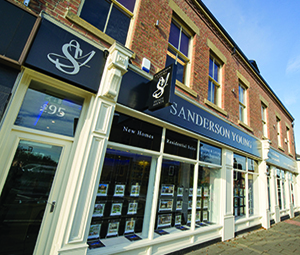 Here at Sanderson Young we can provide a lettings service tailored to suit our client’s needs, which includes low key marketing of your property to source high profile tenants whilst maintaining confidentially. 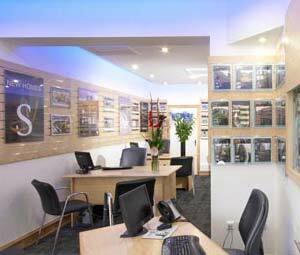 We have close links with many large corporate companies throughout the North East as well as professional tenants who regularly use our lettings services for all their rental needs. Tenancies can be from 6 months up to 3 years and there is a market for furnished/unfurnished as well as partly furnished accommodation. We provide all the information you need whilst marketing your home so you are fully prepared as to what you need to do before we find you a tenant. Gas Safety Inspection Certificates, Electrical Testing, Energy Performance Certificates, smoke alarms & carbon monoxide detectors, Legionnaires risk assessment reports as well as Inventories can all be arranged by us to make the whole process easier for you. We can also protect and safeguard the Damage Deposit should you wish to choose our Fully Managed service as well as advising on safeguarding the Damage Deposit as a Tenancy Only Landlord. As well as the above services we can also offer RENT GUARANTEE PROTECTION for our Landlords under our Fully Managed service which is peace of mind should your tenant fail to make the rental payments on your property . 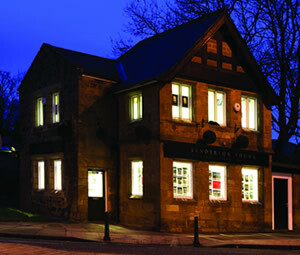 The cover also incorporates the legal groundwork of gaining possession of your property. Many new Landlords do not fully understand the implications of not informing Inland Revenue that they are going to be relocating abroad whilst renting their home out. We can advise on tax issues relating to you moving outside the UK and guide you to the appropriate website for completion of the correct form to receive exemption from paying tax on your rental income. 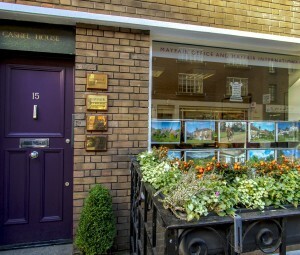 Our Private Finance department can advise on many issues relating to your rental property from buy to let mortgages, refinancing and buildings & contents insurance products. As of the 6th April 2007, Landlords & Agents are required by law to protect any Damage Deposit received in an approved Tenancy Deposit Scheme. 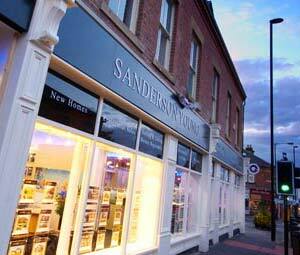 Sanderson Young protect Damage Deposits under our Fully Managed service with the Deposit Protection Scheme (DPS) unless a Landlord has their own approved scheme which we will require evidence of ie scheme provider and membership number. Tenancy Only Landlords will require to safeguard the Tenants Damage Deposit and will be required to provide the same information. Please click on the attached link to the https://www.depositprotection.com/ to see how they manage deposits and disputes for both Landlords & Tenants. 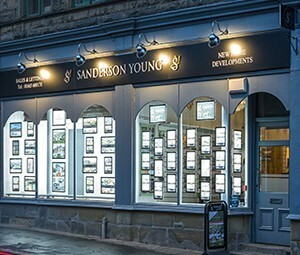 Here at Sanderson Young we understand the importance of transparency and clear concise information about our services and this includes our fees that we charge for both our Fully Managed and Tenant Find options. • Arranging a check out inspection with an independent inventory clerk as well as advising on inventory checks at the start of the tenancy. Please note : a charge of £180 (inc. VAT) is levied to the landlord which is payable to the agent for the administration of the check out and inventory which is paid at the commencement of the tenancy.